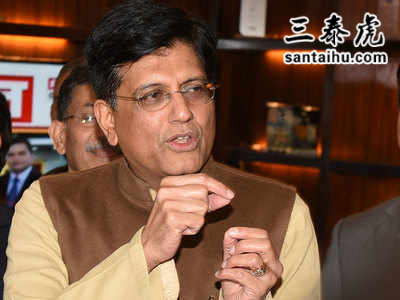 Finance minister Piyush Goyal on Friday served out sops to large sections of the population with a sense of purpose you normally witness at railway station tea stalls. With Lok Sabha elections due to be announced in a few weeks, the urgency was understandable, particularly after the Congress fired an opening salvo with its farm loan waivers in three states and the promise of a minimum income guarantee scheme across the country. The Modi government responded with a budget that was interim only in name. It had a Rs 6,000 per annum direct income transfer for small and marginal farmers – those with holdings below 2 hectares or about 5 acres – drawing largely from a scheme in Telangana. The tax liability on those with incomes up to Rs 5 lakh was cut to zero. Prominent among these was the promise of a Rs 3,000 per month pension for those working in the unorganised sector when they reach 60 in return for a monthly contribution of Rs 55 to Rs 100 depending on their age when they join the scheme. Coming after three large medical, life and accident insurance schemes, these represent a conscious approach to leverage Aadhaar and Jan Dhan to widen the social security net. Modi is the solituon to India developement. All those who critisize Modi need to answer one simple question, name the eligible PM face other than Modi.. Pappu, Mamta, Mayawati, Lallu, Devegowda, Mulayam.. if would be disaster if fellow citizens voge for these oppurtunists, visionless morons.. Modi has grown beyond party. He is no more limited to BJP, he is indias premier and in the list of world leaders. Pls think and vote. Modi first cleaned up the existing rot and then laid a transparent framework of flow of money through gst and demo. Now the system is clean and corrupt will be caught red handed. Hence they had the window to provide more tax relief. I can tell you for sure that most of the western countries including Australia have highest tax rates (30%). Indians are lucky to have such an able and visionary prime minister. I know some special interests groups will cry foul as usual, but religion aside, I must say this should be pleasing to the most!!! My family member''s vote for BJP this time. A very well thought out budget ! The hiking of tax free bucket to Rs. 5 lacs clearly shows that the govt must be doing good on the indirect taxes front through GST. If more and more businesses are brought under GST net, direct taxes for the lower and middle classes will reduce further and the broad basing of taxation shall happen. Kudos to the outgoing Govt ! At least modi gave something after five years but congress nothing for 60 years. Their some of the leaders have grown from rags to multi millionaires and they never bothered middle class. Now we do not need any other leader. Modi proved better economist than foreign educated economists like Puppet Singh, Cheatambaram. Let Pappu shout whatever he wishes or got tutored because economics is not his cup of tea. Kudos to Modi government. This change in tax bracket was long due. India needs Modiji more then ever. He will not only develop the country ( with least amount of looting and corruotion), uplift the poorest of the poor, more just and equitable distribution between the average and rich but will change India's image to one of respect and admiration. For educated and intelligent voters, this should never even have been a contest. Vote for Modiji and BJP for a better, brighter and more prosperous India. All Indians welcome this well balanced budget. after this budget hope people of India ensures NaMo govt. does not face the same fate of vajpayee's govt, which deserved to win for the second time. really good budget! !NDA should get 400 seats this election for our country to become a powerful country!! Instead of finding fault with Modijii, the opposition should use their think tank to support the cause of national development of NDA, which will be seen a proactive opposition and will have a space in the electorate . Great job, Mr Modi! An awesome budget. Very balanced. For opposition every budget is a mockery for them but for middle class and common man and rural people, this budged addressed their woes. THis BUDGET is a brilliant BUDGET thats balanced and yet very POLITICALLY motivated and seeks VOTES rather than answer REASON !